Fantasy Balloon Flights is family owned and operated. The hot air balloon service company was established in Palm Desert in 1981 by Steve and Cindy Wilkinson as a way to share their passion for ballooning with winter visitors to catch a 'bird's eye view' of the Palm Springs resort area and the unique panorama of the Coachella Valley. 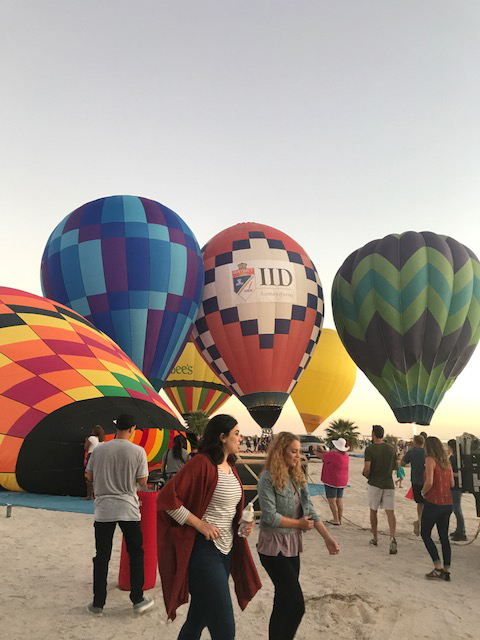 Over 50,000 guests have enjoyed ballooning with Fantasy Balloon Flights colorful balloons above the Palm Springs Desert Resort area. 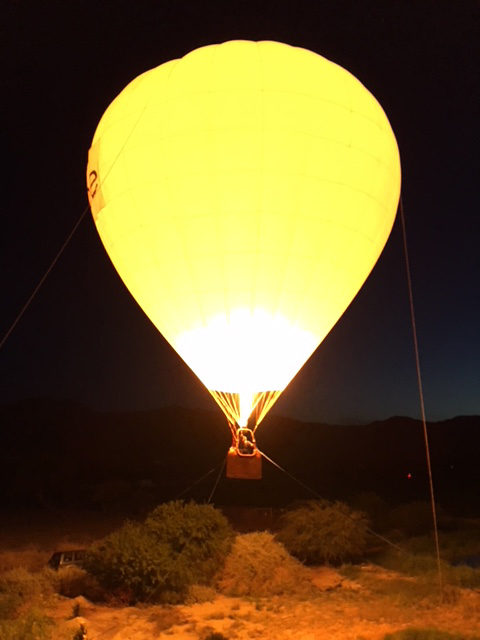 Champagne balloon adventures are available daily in the Coachella Valley from September through May. 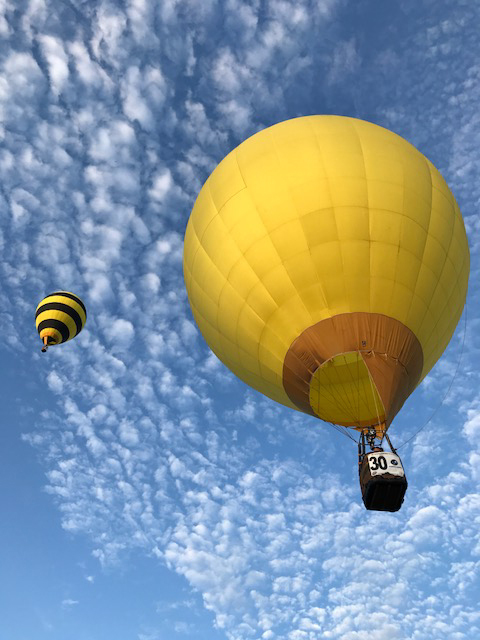 During the warm summer months balloon adventures are available above the Temecula wine country, a 90-minute drive away, and above the Ventura coast, a 3-hour drive to meet in Santa Paula. The early morning Palm Springs area balloon adventures meet at Café Italia and begin with a continental breakfast. During the winter season between November through February evening flights are also available. After a short ride in the shuttle van to the launch site you will watch the ground crew inflate the balloons to 7-stories high. 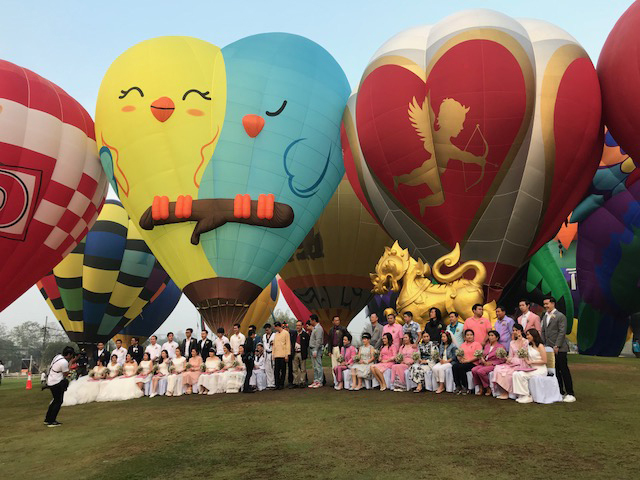 There are various size balloons that can accommodate one to twelve guests, plus the pilot. You may charter a balloon for your party only or with others. Your pilot will apply hot air with the powerful balloon engines and the balloon will effortlessly lift off to float with the gentle breeze. The flight path often takes guests over natural deserts, lush country club golf resorts, Date Palm groves and polo clubs. Our pilots will point out interesting sites and wildlife during the approximately one-hour tour. 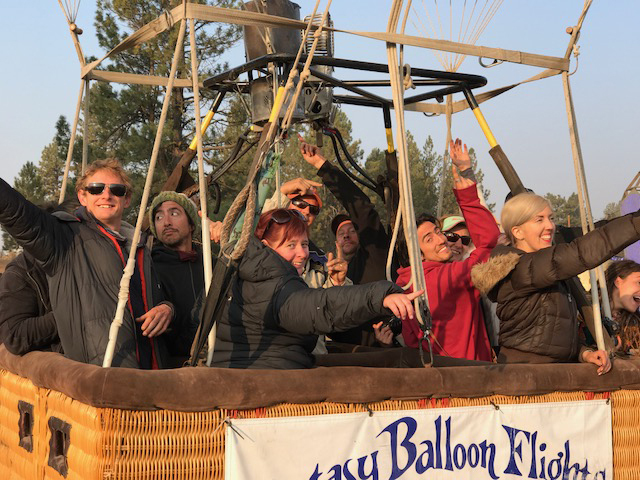 We follow tradition with ballooning and toast the adventure with Champagne or sparkling juice, and your pilot will present you with flight awards. Please plan to spend about 2 ½ hours with us total time. We suggest that you dress casually and wear closed, flat shoes, please no high heels or sandals. Please dress in layers in the morning, it may be cool, however it will be warmer in the balloon. If you are tall or have thinning hair, you may wish to wear a hat or cap. Group charters are available and the perfect teaming building activity. 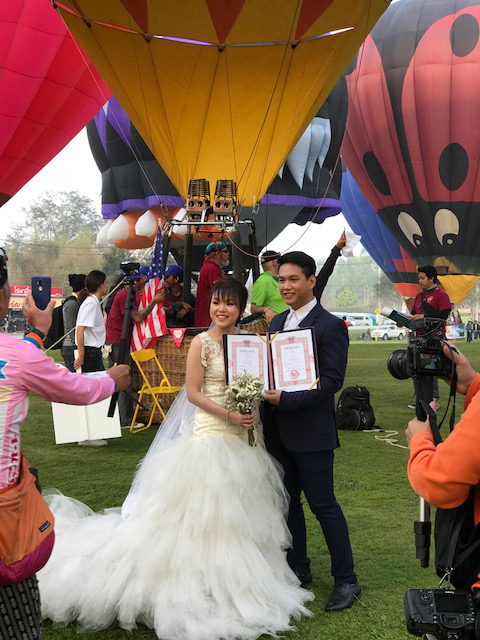 Hot Air Balloon Rides are available for weddings, proposals, celebrations and events. Fantasy Balloon Flights pilots and crew will inflate one or more hot air balloons at your event creating a unique colorful visual and offering guests a fun view of the party and surrounding area from 70-100' while tethered. That's Bananas! The gigantic Bunch of Bananas Balloon brings smiles to all ages at festivals and events throughout the world. During your stay expierience the thrill of lighter-than-air travel, ballooning aloft in the unique panorama of the California desert resort area at Indian Wells. 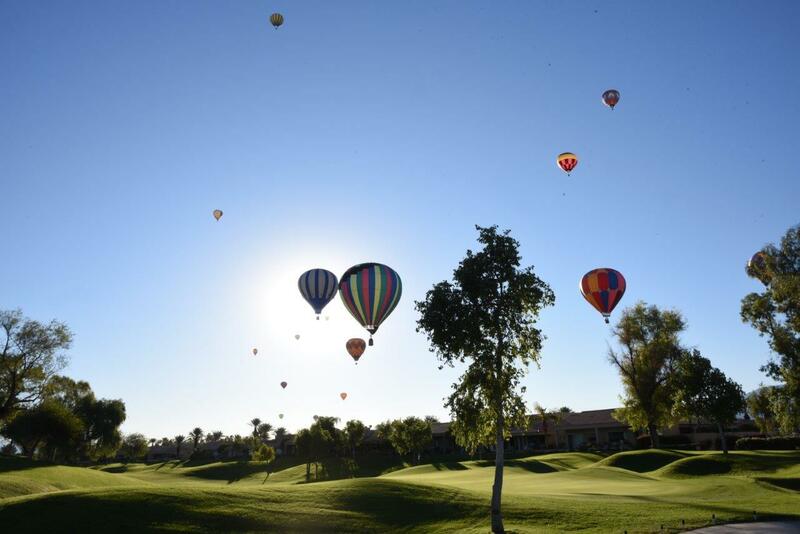 High-hour FAA-certified pilots guide 2-10 passenger, multicolored hot-air balloons aloft to get the bird's-eye view of the many country clubs, the low desert's winter wildflowers. date plam groves & citrus. The 'Champaigne' adventures lift off daily during the early mornings and again just prior to sunset. Hotel pickup included, Visa, MC, Dis, AMEX, & Checks accepted, group & family rates. Click the button below to reserve your flight. Please call for discounts for groups of 6 or more and dedicated balloon charters. You are invited to take a tour aloft with us and experience the unique adventure of modern hot air ballooning! Hot air ballooning man’s oldest form of flight began over 200 years ago, with the first flight over the French countryside in 1783. 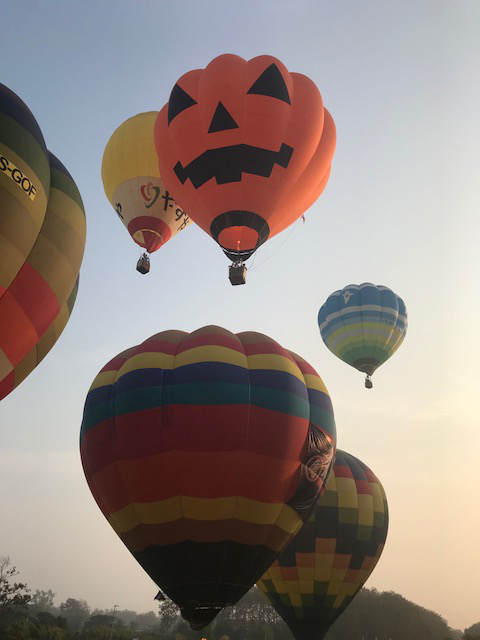 You may enjoy the same thrill and excitement today on board a Fantasy Balloon Flight! The brightly colored aerostats stand over eight stories high! The inflation procedure is very exciting and a great photo opportunity! Bring plenty of film. We usually launch several at once. What a sight! 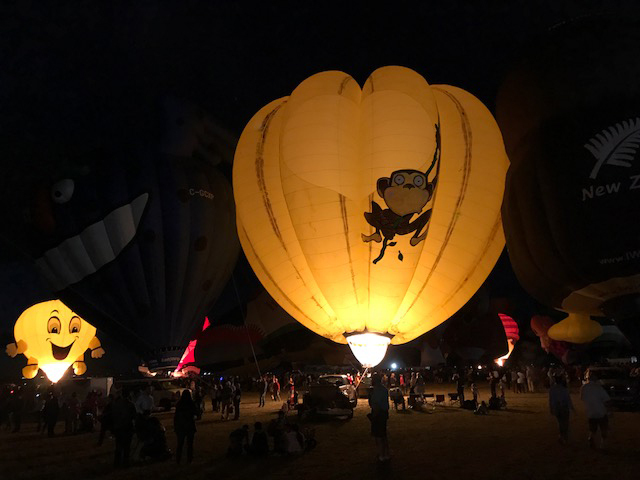 The balloons are different sizes and can carry between 2-10 passengers plus the pilot. Founded in 1981, your comfort and safety are assured by our staff of seasoned professionals. Your FAA certified commercial pilot/instructor has logged over 2,000 hours of flight experience in hot air balloons. The ‘chase crews” follow in 4X4 vans and are in radio contact wit the pilots to provide support on the ground. The information and reservation telephone lines are manned 24 hours a day during season. The helpful reservation staff will do their best to accommodate last minute reservations and help you with any special requests. You will enjoy a ‘bird’s eye view’ of majestic mountains surrounding a patch panorama of cities, farms, resorts, and the natural desert. The Palm Springs area offers a wonderful contrast between the natural desert landscape with wild flowers and sagebrush and the beauty of lush country clubs and over 100 golf resorts. The interesting agricultural area to the east includes date palm groves, vineyards, and citrus groves. Through out the flight your pilot will point out interesting sites like celebrity homes, the windmill farms, and natural landmarks like San Andreas earthquake fault and the Salton Sea. 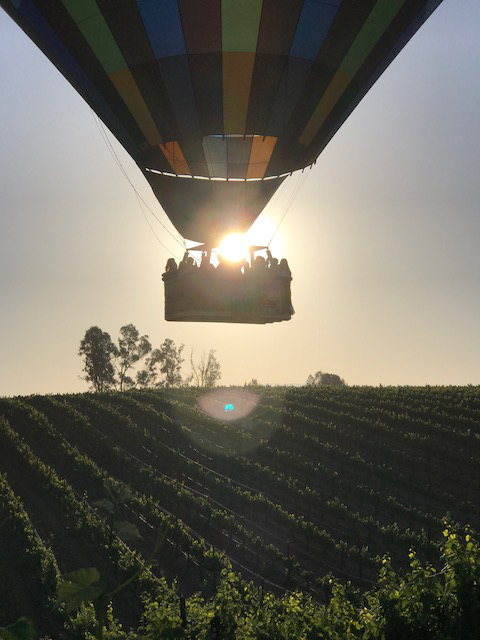 The Temecula wine country flights originate from a winery and offer views of the vineyards, rolling hills, ranch estates, citrus groves, and three lakes. After this flight you will be invited to tour the winery and local beverage tasting. Santa Paula in Ventura County provides a fantastic view from our balloons of the Channel Islands and Pacific coast, lemon orchards, and foothills where we regularly spot cattle, deer, coyote, and quail! Our host; Limoneira Tours can arrange jeep tours, horseback rides, picnics, and packing house tours to introduce you to charming early California town. The balloons usually cover 10-30 miles through the scenic flight area of Palm Desert, Santa Paula, and Temecula. The time aloft lasts 60-90 minutes depending upon available landing sites. The pilots change altitude to find different wind direction to ‘steer’ the balloons over interesting landscapes. 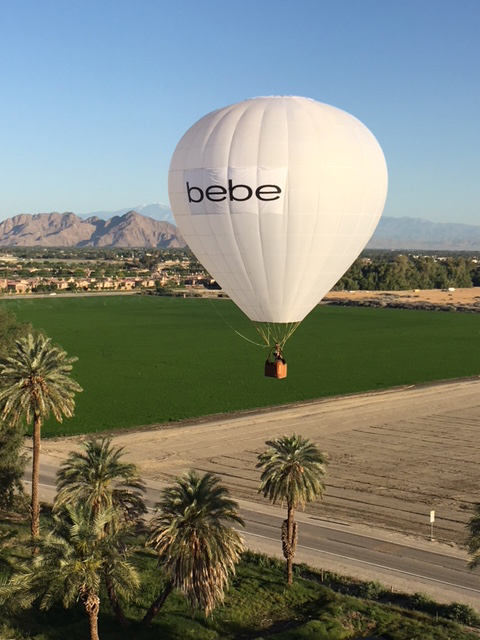 Upon landing, we follow a 200-year-old tradition with ballooning and serve iced Champagne. Sparkling juices and other beverages are also served. The pilots commemorate the adventure by reciting the Balloonist’s Poem and present the new aeronauts with first ascension awards and a photo postcard. The fare for the balloon adventure is $195.00 per guest inclusive. We offer discounts to group, families, children and seniors. One-week advance notice is usually plenty of time to secure your desired flight date. We do our best to accommodate last minute bookings up and until flight time. Private charters for two or more are available as are corporate group functions. Wedding Aloft is one of our specialties. Tether promotions are available at your business or other site. A Fantasy Gift Passport is the perfect unique gift surprise for the hard to shop for and any occasion! We accept checks and all major credit cards. Please call 72 hours in advance to change your reservations. No shows will be charged. Dress casually. We suggest slacks, closed, flat shoes, and layered clothing. The balloons provide their own warmth and it is usually warmer than you anticipate. It is good to have caps for tall guests and those with thin hair on warm afternoons. Bring more film than you think you will need. At landing, you will be asked to face the direction of flight, hold on, and bend your knees. Before launch, you will be asked to sign a waiver and follow your pilot’s instructions through out the flight. You captain, ground crew, and reservation staff are at your service to make your Fantasy Balloon Flight an enjoyable and memorable adventure. Please call for more information and flight times. Made with in Palm Desert.